Kamy Wicoff and I have something in common. We've both created forums for women writers. While mine is a blog that features novels mainly written by women, hers is a publishing company that has made a huge impact in the span of three years. 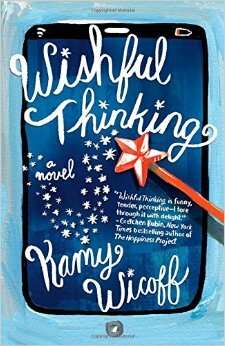 As you may already know, I loved her debut novel, Wishful Thinking (reviewed here), and even included it on a list of favorite time travel novels. 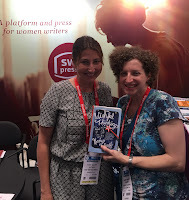 I was also fortunate enough to meet her at Book Expo America this past May, and she even found a way to be in two places at once in order to make that happen. We hung out in the booth of the publishing company she created, She Writes Press. This month at Chick Lit Central, our theme is "Chick Lit Soup for the Soul," and authors will be sharing heartwarming stories or talking about the good things in life. Today, sit back with a nice cup of your favorite beverage and indulge in Kamy's beautiful story. You can find Kamy at her website, Facebook, Twitter, and Instagram. 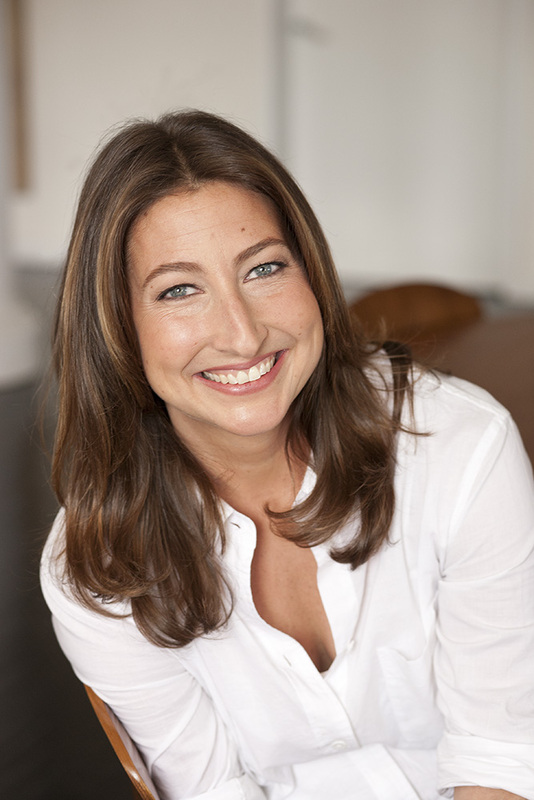 When people ask me how I came up with the idea for She Writes, the social network for women writers I founded with my friend and fellow author Deborah Siegel, the answer is simple: I created the thing I needed. Debbie and I were both confounded by the enormous changes taking place in publishing, struggling to figure out how to navigate the new world of online and social media, facing the new obligation writers had to be the chief promoters of their work. I needed a network of women writers not only to help me figure out how to become an “authorpreneur,” but also to encourage me on days I felt down and out, just plain overwhelmed by it all. For six years, the women of She Writes, now 26,000 strong, have provided me with inspiration, knowledge and sisterly support I can’t imagine living without. When people ask me how I came up with the idea for She Writes Press, the publishing company I founded with former Executive Editor of Seal Press Brooke Warner three years ago, the answer is also simple: we created the thing we needed. Brooke was frustrated with changes in traditional publishing that were forcing her to reject books she loved just because the author in question didn’t have enough Twitter followers. I was frustrated by the idea that when I eventually finished my novel, then just a few months underway, I knew that if I published traditionally, as I had with my first book, I would do most of the work to promote the book while still getting only a tiny percentage of the sales. Together we created a third-way publisher that combines the best of traditional and self-publishing, and in just three years we have published more than eighty books by women that I couldn’t be more proud to have been a small part of bringing into the world. When people ask me how I came up with the idea for my new novel, Wishful Thinking, the answer is simple, once again: I created the book I wanted to read. The inspiration came one night when I was reading the Harry Potter books with my older son Max. I crawled into bed beside him, excited to see what happened next and delighting in the warm, wizardy world J.K. Rowling had created, when I thought, I wish there were a book like this not about a ten-year-old boy, but about a woman like me, a divorced mother of two struggling to balance her roles as mom and career-woman, too. What power would I give her? I wondered. The power to be in more than one place at a time, obviously! And so I did. For the next two years, I wrote the book I wanted to read, and it was pure delight. When people ask me how I came up with the character of Owen, the man my main character, Jennifer Sharpe, eventually falls in love with, that answer is simple too: I created the man I wanted to fall in love with. You will probably not be surprised to learn that this did not make my Prince Charming magically appear. I’m good, but I’m not that good. But writing Wishful Thinking did lead me to love, in a way I never could have imagined. When I started writing the book I’d been single for four years, and had had some pretty damaging dating experiences. This might have been because I was convinced, after experiencing the excruciating dissolution of my marriage, that I would never remarry. For one, I felt I could never endure the pain of divorce again, and unless somebody could hand me a crystal ball and a written-in-blood guarantee that the relationship I was in would never end, I couldn’t possibly expose myself that pain, not to mention my kids. And then there was the fact that every guy I’d dated so far had not come close to convincing me the risk I was so terrified to take was worth it. The problem was, if I believed this, how, in writing Wishful Thinking, could I give my heroine, Jennifer, also a divorced mother of two, the happy ending she deserved, and that I secretly hoped (though I couldn’t admit it to myself), I could have too? How could Jennifer open herself up to love after going through divorce? How could she take the risk of her children falling for a new man that might not stick around? In writing Wishful Thinking, I created the thing I needed once again. Not a man, but a path to healing. As I wrote, I treated Jennifer like someone I loved, like a friend I wanted to see happy. Determined to give her hope for love in her life, I wrote my way through her fears, and by doing so, through my own. Without risk, I realized as I told Jennifer’s story, there can’t be love. Without love, what is life about? When I started writing Wishful Thinking I was single. When I finished it, the man I love, and hope to love forever, though I know there are no guarantees (which still scares the s*** out of me), was sitting across from me, holding my hand. No, I couldn’t create Prince Charming by writing about him. But in writing this book, I did, as I have so many times in my life, create the thing I needed. I opened Jennifer’s heart to love again, and I opened my heart in the process, too. Thanks to Kamy for chatting with us and to BookSparks PR for connecting us. Awesome. I will be heading over to She Writes right now! Great reflections. Happy for you, Kamy!